Happy Wednesday, loves! It’s snowing outside EB headquarters today. Actually snowing. On April 22nd. Luckily it won’t stick around, but still. This past 70 degree weather weekend was a tease. Anyway… remember when we talked about how you can totally spruce up your space with chair signs? Well, today we’re helping you do it thanks to the lovelies of The Find Sac. 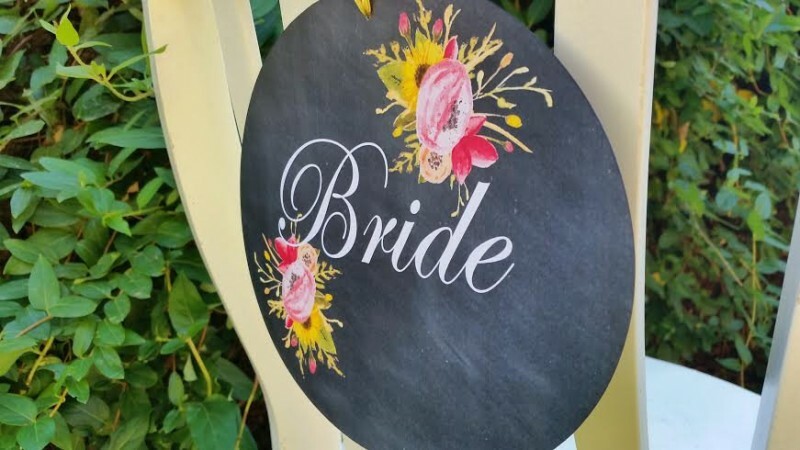 They’re giving away one set of bride and groom chalkboard signs to a lucky reader! You can find out all the details below and get a peek at the design being offered. Oh, and be sure to share this with a friend. It’s good karma, I swear. Just click on the ‘Facebook’ or ‘Twitter’ buttons below the post. 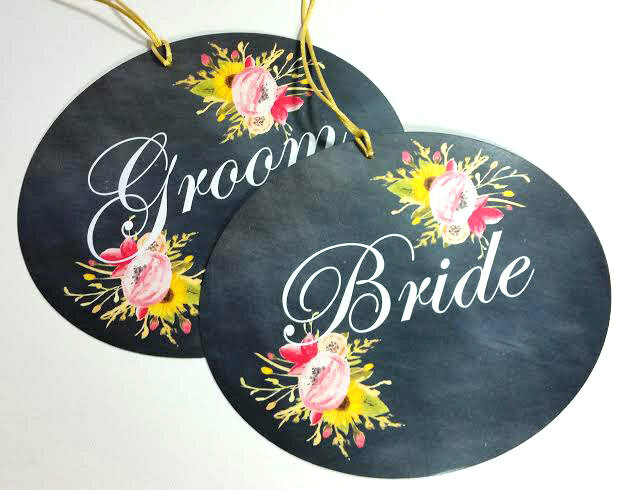 These signs have a chic chalkboard design and a botanical floral design. These chalkboard chair signs are printed on heavy 110 lb. heavy card-stock. Each sign comes with a lux gold, pink or green ribbon. These beautiful chair signs are a terrific way to highlight the bride and groom’s seating in an elegant way. Matching table numbers available. I love the Oval Chalkboard Wedding Table Number – Country Chic – Double Sided Table Numbers! I like the program fans! I love the hanging string globes! and of course the bride and groom chair signs. Love all the different designs for wedding fan-programs. Absolutely love the hanging orbs! I am in crazy love with the Wedding Decoration Hanging Spheres! !